This one falls into my “answer the question, don’t worry about being pretty” rant perfectly. The secret to this one is that sketch entities cannot be reference UNLESS they are in the same drawing view. Read the rant and find the rest of the solutions at the CSWP Drawing Overview. 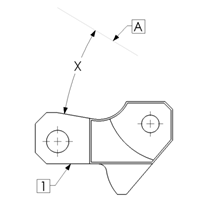 Problem: Insert part into drawing that has an imbedded line segment. My solution: First I try to insert the part into the drawing. Ah- the part is not aligned to any coordinate system. 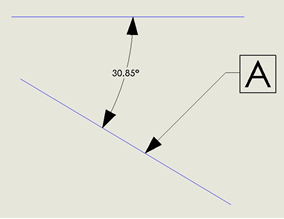 So my first step is to measure the angle of the line in the drawing. (Sketch a horizontal line, and then dimension). Watch out when you are dimensioning. The angle is adjustable. Step #2- Open the part and measure the angle from the horizontal surface and the angled surface. Step #3- put on your math cap and figure out the angle between the 2 lines. Should be 30.85-10=20.85. Done. For those of you who are uncomfortable with my shenanigan shortcuts, here’s one “right” ways to do it. 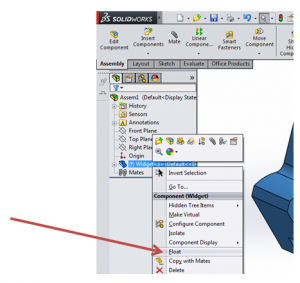 First: go to Coordinate System in the part Select a X-axis, Y-axis and Z-axis that will align the part. Drop the part into an assembly. Since it’s the only part- it automatically becomes “fixed”. Switch it to “Float” by right clicking on the part in the feature tree. Then mate the new coordinate system to the assembly origin. Now drop the new assembly into the drawing. Get the view you want. 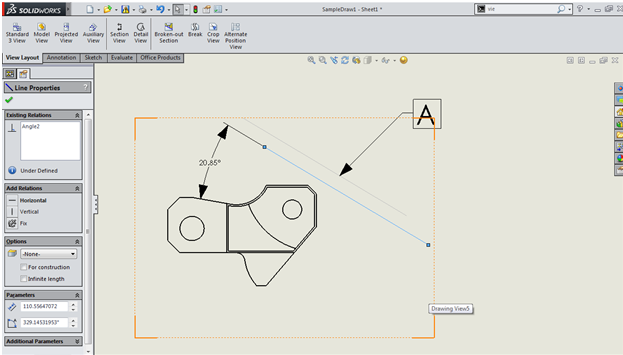 Last, copy the line in the drawing (line A) by hitting Ctrl C, Click in the drawing view and hit Ctrl V. You can now get a dimension between the additional parallel line and the part. Jim is a CSWP and on the road to getting his CSWE. 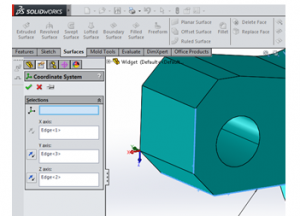 He works for HawkRidge Systems, an authorized reseller of SolidWorks. 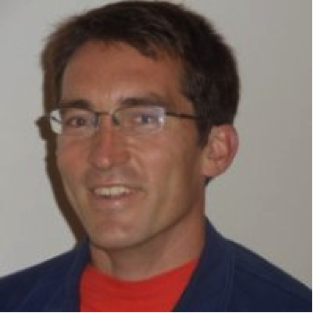 Jim also runs i-elf, a product development consulting company. He can be reached at Jim.Lucas@i-elf.com. Their is an easier way of doing this. 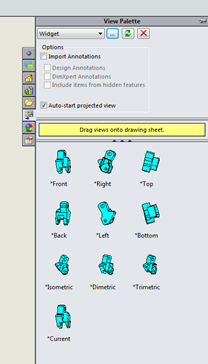 in the drawing go to INSERT>RELATIVE TO MODEL. From there open your model and select the planes you want to use to create and orgin point. Move/Copy Bodies. You just align the part with the reference planes and that is it. 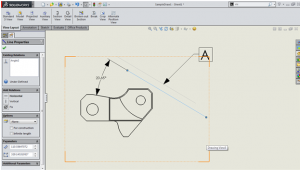 go to Coordinate System in the part Select a X-axis, Y-axis and Z-axis that will align the part.